Giving the F.B.I. What It Wants. "A Bangladeshi-born artist and academic is mistakenly detained at the Detroit airport. He doesn’t get mad. He gets even." Just released: The cast and crew of Doctor Who (Tennant era) lip-dub to The Proclaimers song "I Wanna Be (500 miles)". You will never be sad again. Also released today: John Barrowman, Catherine Tate, and David Tennant thank Russell T Davies and Julie Gardner for a great run on Doctor Who....in song. 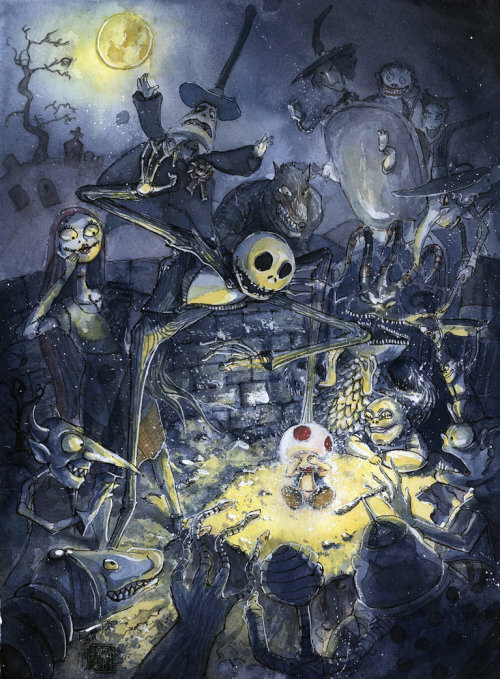 Scaredcited: A cartoon essay that explores why we love to be scared. Be sure to click through to the second page of Knisley's latest comic "Scaredcited," for which she polled her readers on their greatest fears. 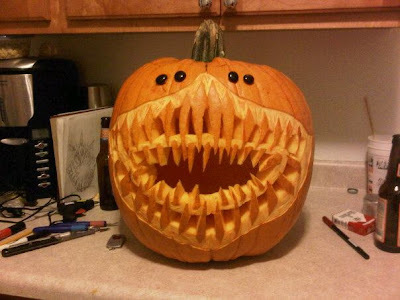 ThinkGeek has posted the results of their 2011 Great Geeky Pumpkin Template Contest. 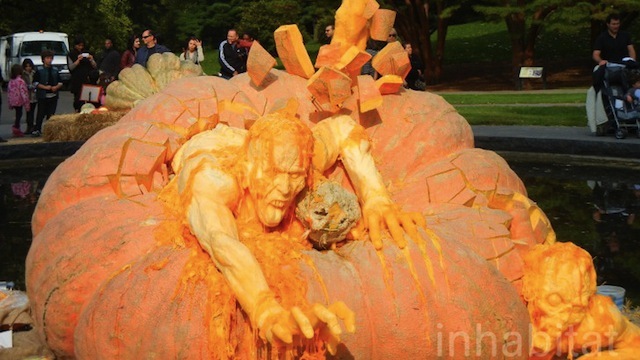 "I generally hate carving pumpkins, so much so that I never do it. Well, this year I decided to carve one for work, and in a typical Meagan-nerd fashion I made mine into a Boo from Super Mario Bros. He turned out looking SPOOKTACULAR!" 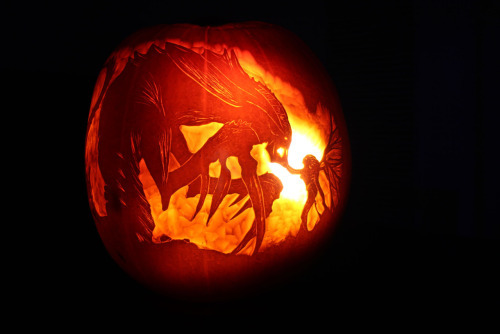 "The Queen of Blades with Her Loyal Subject"
To see the process and details of carving this pumpkin, check out their blog. 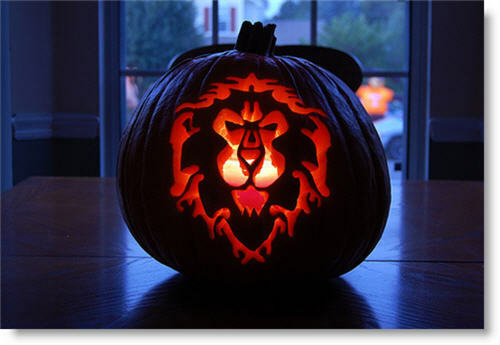 This pumpkin was one of the winners of the 2011 Blizzard Pumpkin Carving Contest! 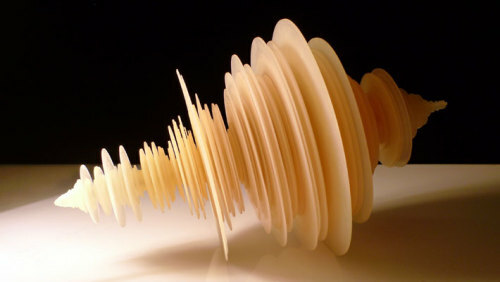 Luke Jerram used a rapid-prototyping machine to transform seismograph readings from the worst nine minutes of the 2011 Tōhoku Japanese earthquake and tsunami into a three-dimensional sculpture. 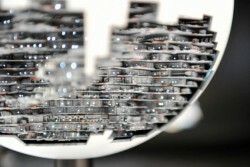 The sculpture will be displayed by the Jerwood Space in London as a part of an exhibit on how data is read and interpreted. 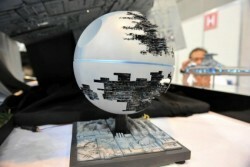 These Star Wars dioramas were recently presented at the Shizuoka Hobby Show in Japan, and they pretty much blow every other Star Wars model you're ever seen out of the water. 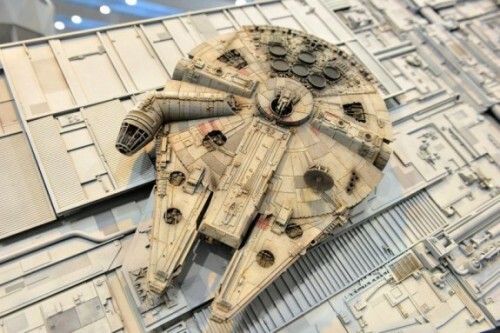 In fact, I'm pretty sure a few of these are more detailed than the models actually used in the original films. 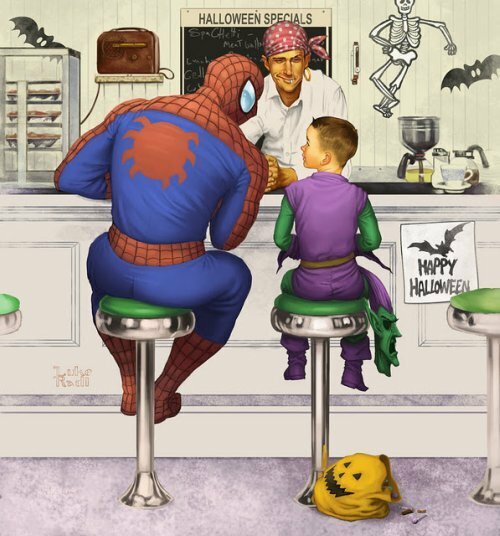 "A superheroic twist on Norman Rockwell's 'The Runaway'"
A step-by-step look into the process of making this can illustration. 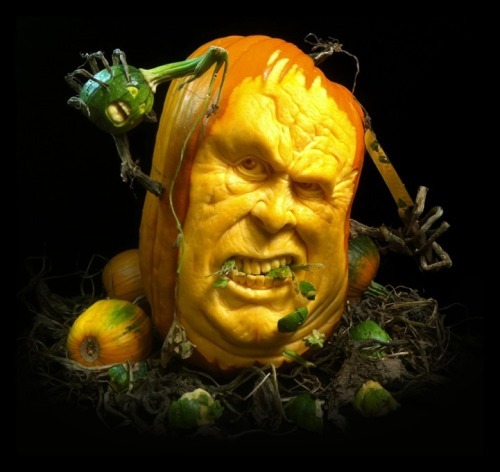 Cedric Laquieze is a sculptor specializing in unusual creatures like fairy flowers and goddesses made from organic materials. Tilt is a Firefox add-on that lets you visualize a web page's DOM (document object model) in 3D. In effect, you can see all the layers in a web page stacked upon each other with this. 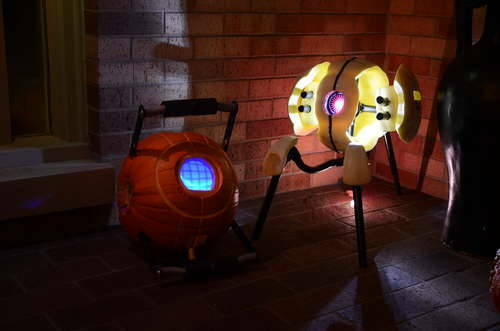 DracoGT constructed these turrets from LCD lights, PVC piping, and pumpkins. 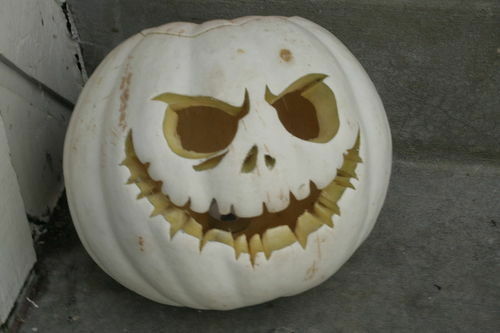 You can read how to make your own Halloween defense system at Instructables. 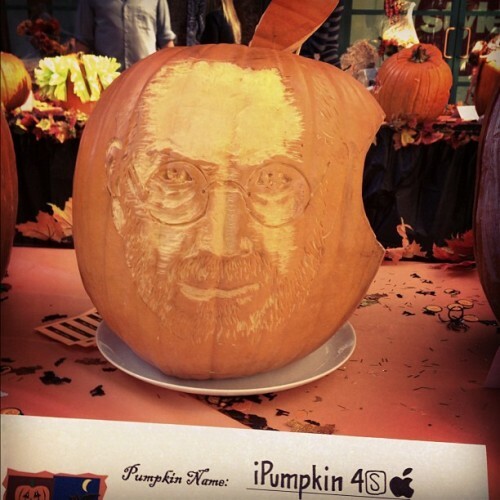 Wheatley Pumpkin Personality Core coming soon from Aperture Science. Concept art for The Thing by Robert Simons. 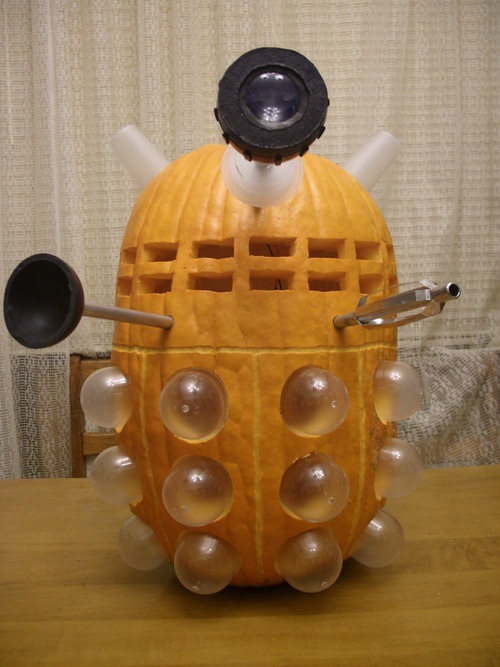 Pink Ray Gun has posted a whole host of Pumpkin Carving Stencils, including some excellent Doctor Who patterns. We and the Color is a blog about creative inspiration in art, graphic design, illustration, photography, architecture, fashion, product, interior, video and motion design. Also on Flickr. 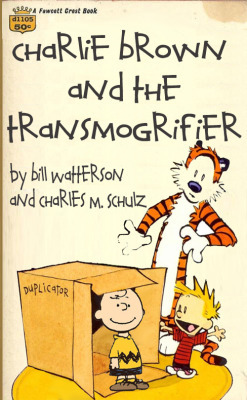 An initiative from “the Company” in the year 2258, in a future where shiny, happy rayguns are frowned upon, a future no one should want to live in. 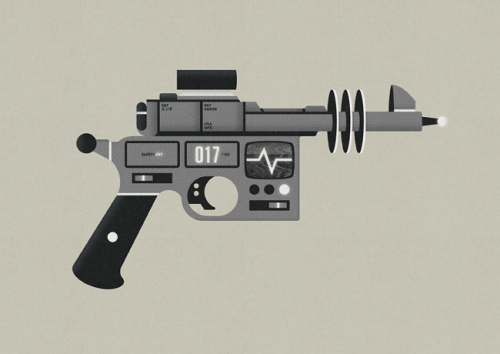 Time Travel, however, is all good, so the Company has decided to commission some present-day artists to create raygun concepts. 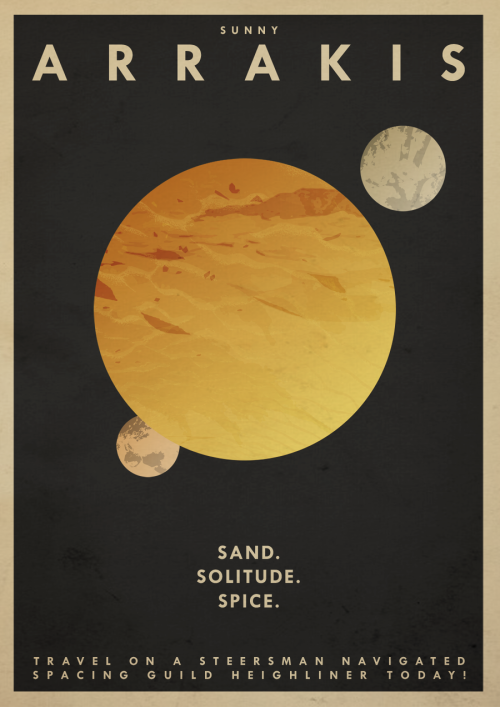 All in the name of science fiction! Get project updates via Twitter! 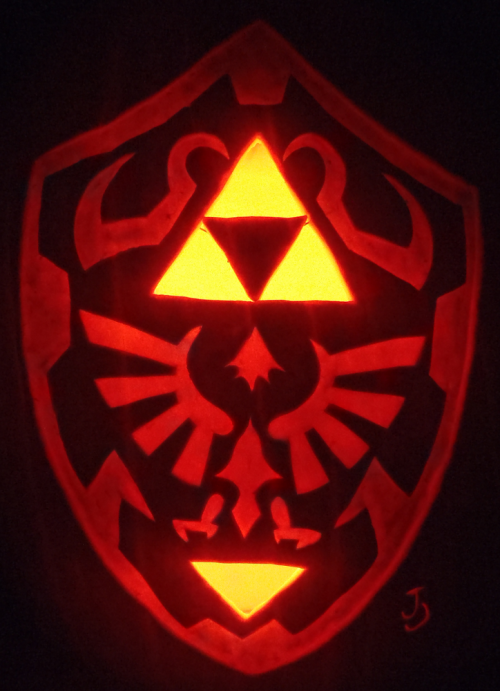 Excellent Hylian Shield Pumpkin styled after The Legend of Zelda: Ocarina of Time by deviantARTist Johwee. 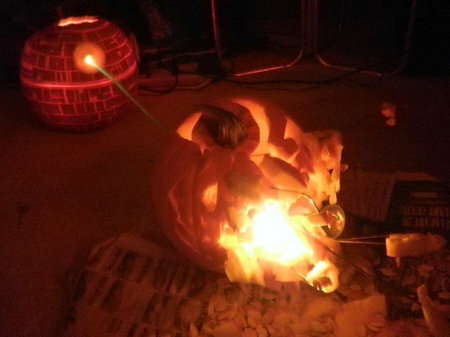 Halloween is full of creativity! 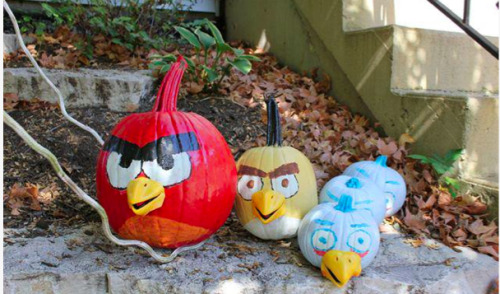 The perfect pumpkins for any arcade nerd. 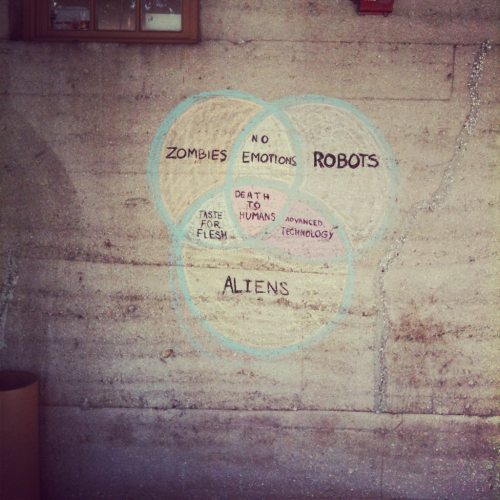 "Pac Man, ghosts, pellets, and cherries. 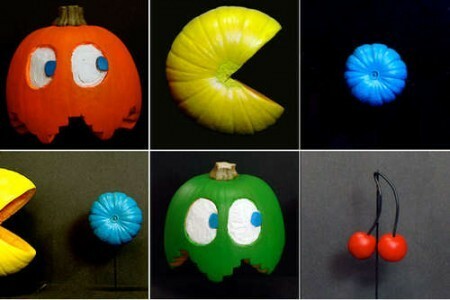 The Pac Man and ghosts are carved from Sugar Pie pumpkins. 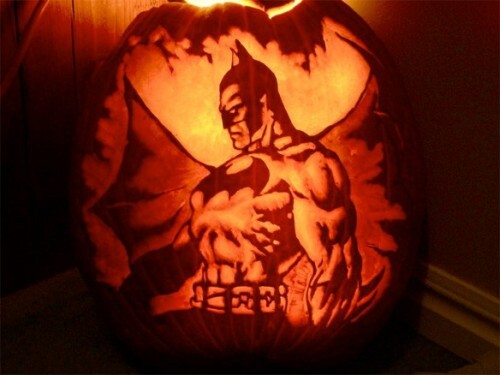 The Pac Man was carved on it side so I could retain that round shape. 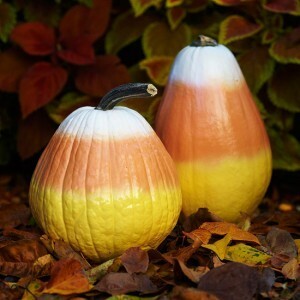 The pellets are just small gourd pumkins turned on their sides. The cherries are made from two crab apples painted red and some 8 guage wire. 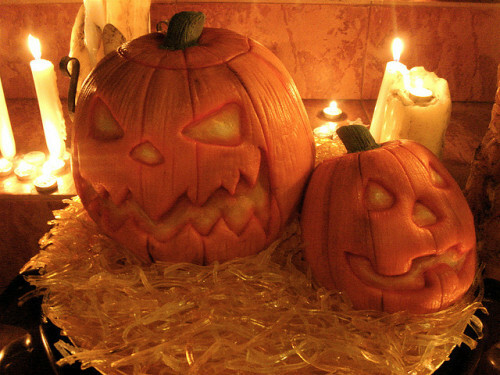 The pumpkins are mounted on dowels on a board. 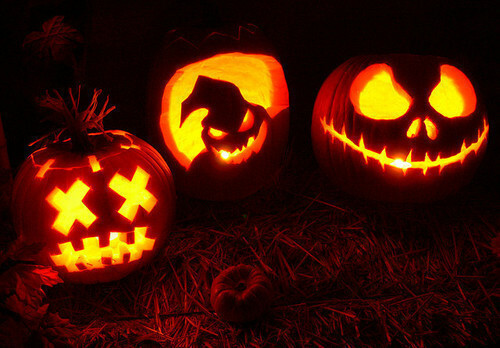 I used flourescent acrylics to paint the pumkins so they would glow when lit with a black light. 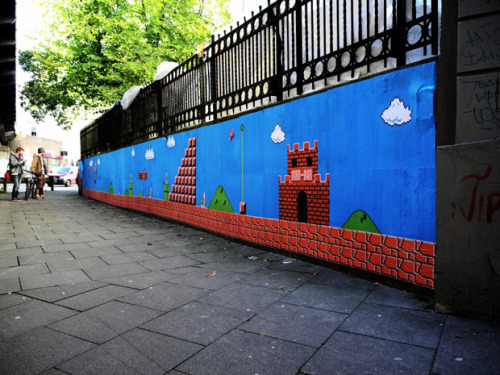 Paint was applied with a home-made airbrush made from a paint canister/pen/dust-off canister. For scale, the Pac Man is approx. 10 inches tall." "Bigger fish eat the little ones." 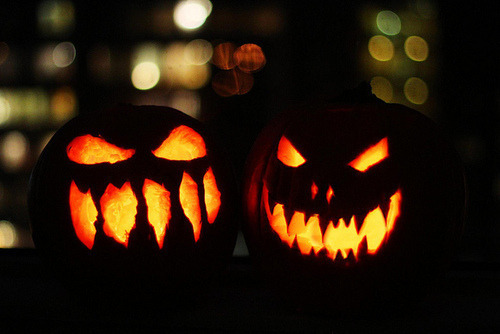 Halloween light show complete with grinning pumpkins. 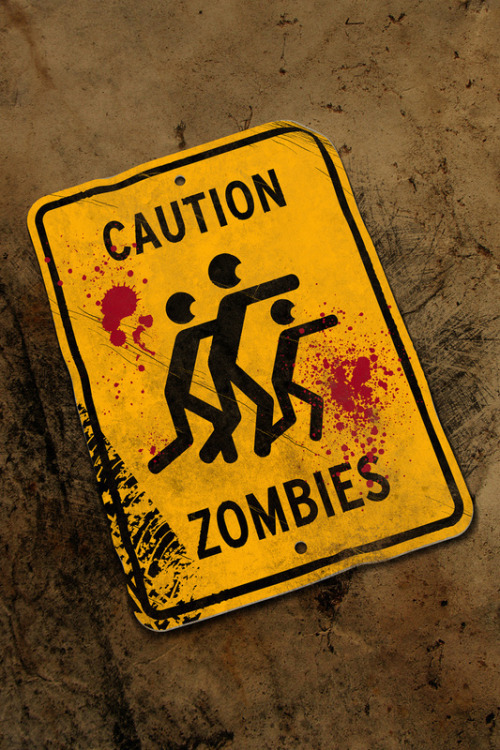 Warning: LMFAO. Threadless has created a t-shirt line for UNICEF in which the shirts cost the same as what's depicted on them. So this one, of a cargo flight, costs $300,000. This one, for insecticide-treated mosquito nets, might be more in your price range. Today, an eight foot tall Lego man washed up ashore in Siesta Key Village, Florida. This is not the first time this has happened. 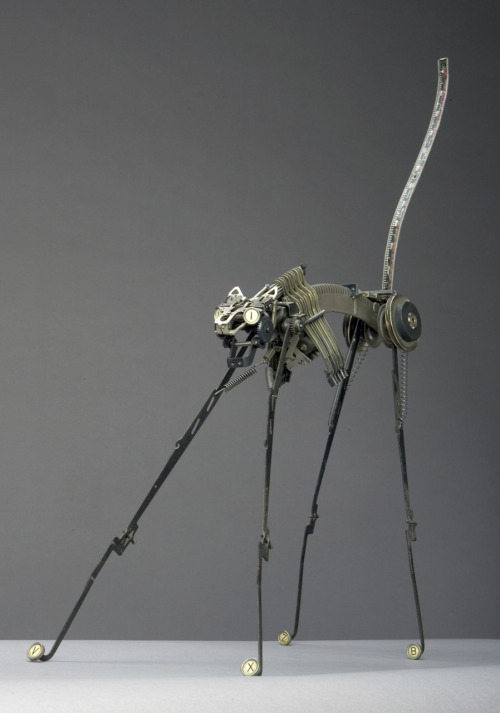 The figures are the creation of Ego Leonard, an enigmatic figure in his own right. Vote for Can't Stop The Serenity's 2012 Official Artwork! 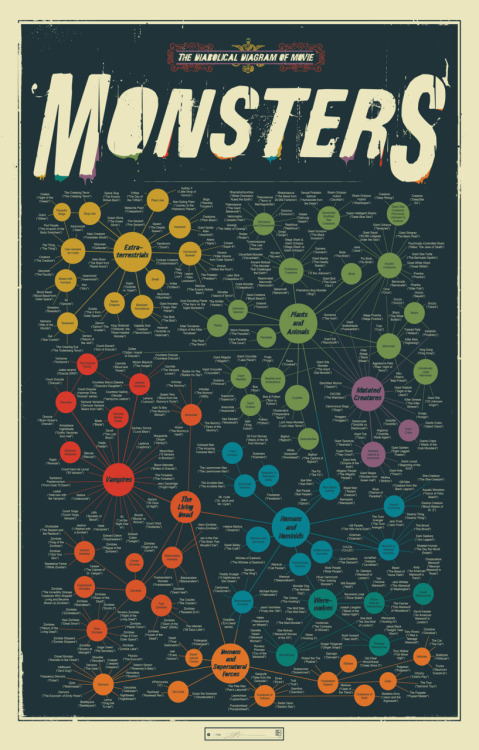 From Godzilla to Chucky to Crawling Eye, the definitive guide to a universe of terror. 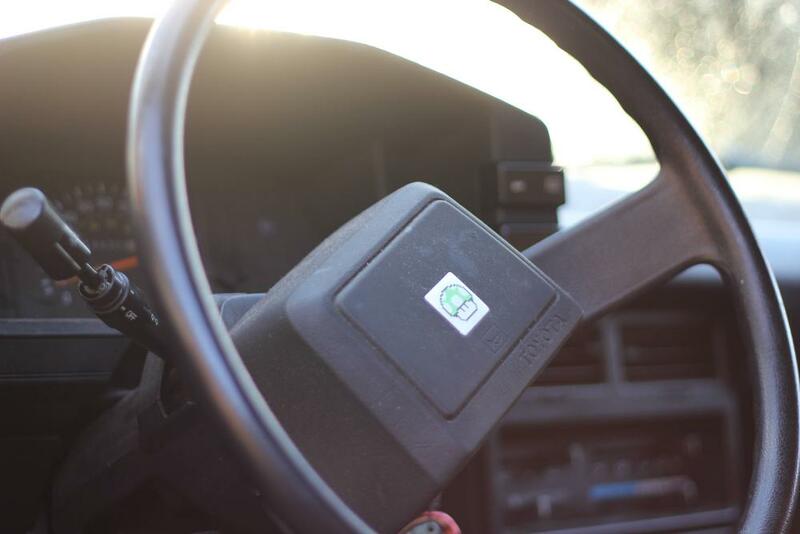 "My car doesn't have an airbag. Hopefully this will ease my mom's concerns." Charles Schulz continues to churn out new Peanuts volumes from beyond the grave... at least in the imagination of Tony Medeiros. 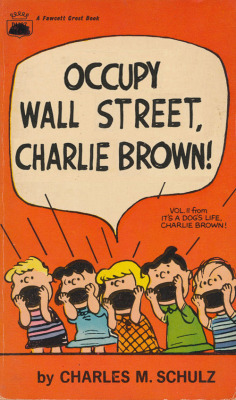 Medeiros runs Paperback Charlie Brown, a blog devoted to Charlie Brown parodies posing as paperbacks that were lost to time. 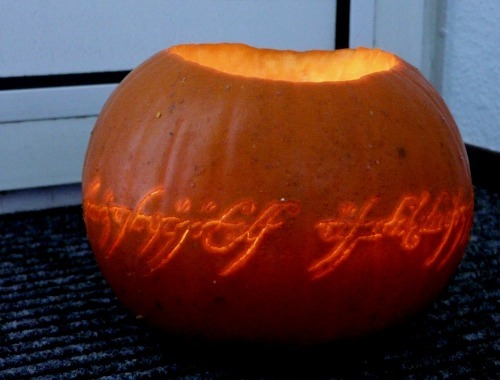 Now this is how you decorate for Halloween! 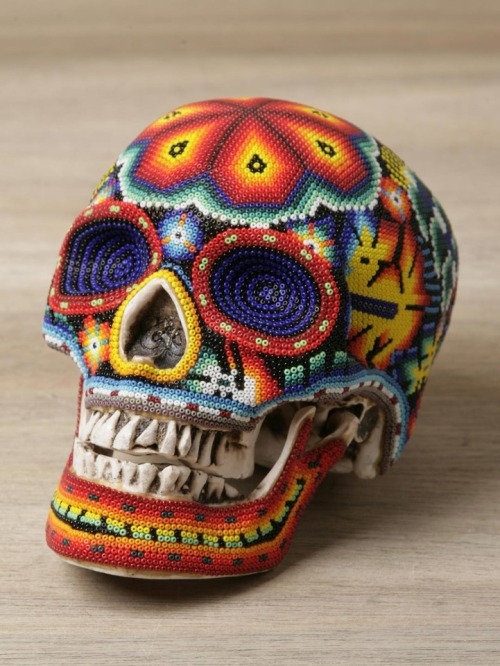 Our Exquisite Corpse, headed by Catherine Martin, has released a series of life-like skull replicas festooned with beads in the imitation of the traditional folk art of the Huichol people of the Sierra Madre mountains. The beads are laid in patterns representing the Huichol Sun God, ancestor spirits and principle deities: Deer, Corn, Peyote, and the Eagle. 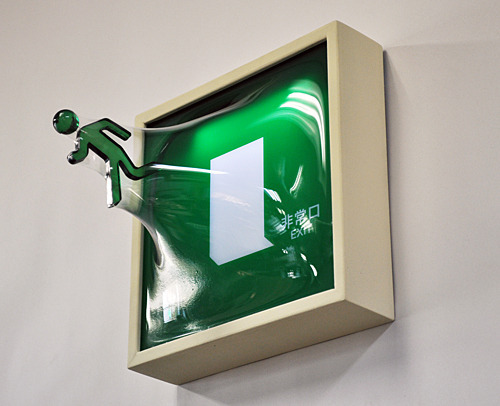 "Escape" by Japanese artist Yuki Matsueda captures the everyday objects mid-explosion, as though the art has decided that it’s had enough of being looked at and has tried to make a run for it. As if, after all the harsh things that were said about it, art had no other choice but to try a prison break. "I have just discovered the work of Kawahara Kazuhiko a Japanese Architect and photographer along with the Vortograph photography movement. vortograph is the first completely abstract kind of photograph, it is composed of kaleidoscopic repetitions of forms achieved by photographing objects through a triangular arrangement of three mirrors. Alvin Langdon Coburn, a member of the Photo-Secession group and a pioneer in nonobjective photography, invented vortography in 1917 and remained the principal advocate and practitioner of the technique. So nothing is new! 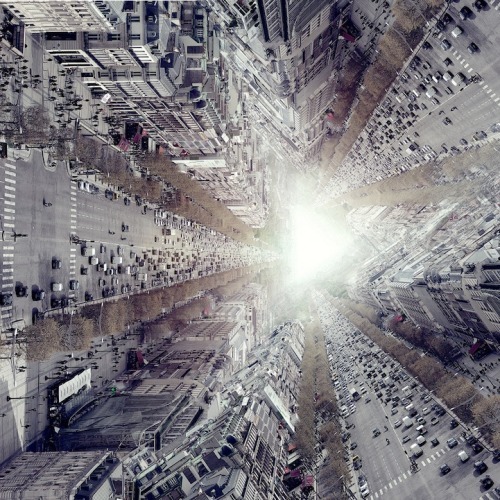 Like me Kawahara Kazuhiko uses architecture as a source of inspiration for his kaleidoscopic images but he has taken it to another level. 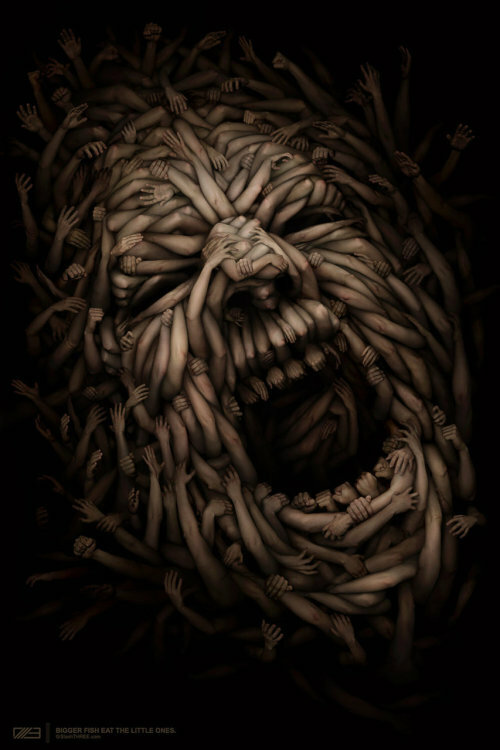 He was producing this kind of work for a few years now, perhaps the movie Inception was inspired by his work? Well I do like his work, so had a go at using the triple image idea of the Vortograph fused with Kawahara Kazuhiko." 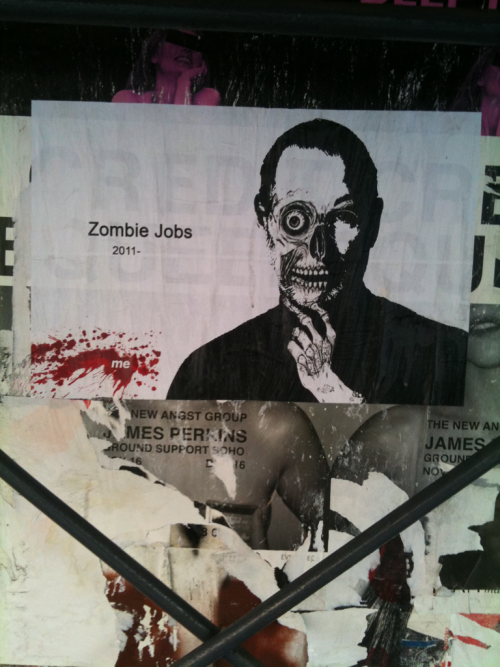 I think this is supposed to be an allusion to They Live, in which case it's pretty clever. The real question, though, is too soon? The Dalek of the Rings. The Dalek of the Flies. Pride and Prejudice and Daleks. 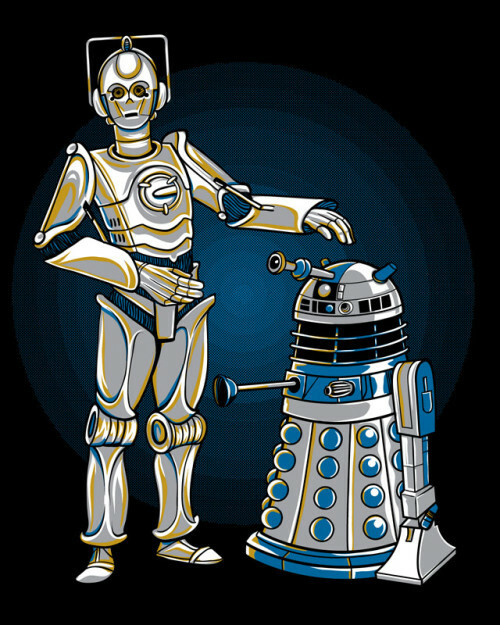 The Hitchhiker's Guide to the Dalek. The Dalek of the Baskervilles. The Dalek at Pooh Corner. 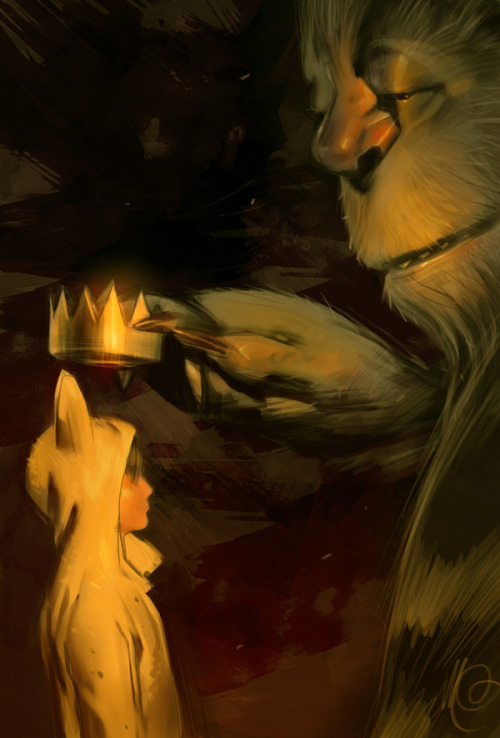 And many more illustrations by Kathleen Jennings. 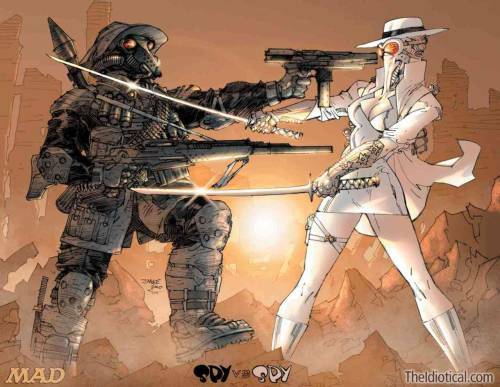 Firefly fan-art by French cartoonist and blogger: Boulet is a french cartoonist who has an illustrated blog that also gets published in comic book form. He somethimes draws fan-art, and this time it's an hommage to Firefly, in kawaii style. Stained glass pop artists, Mark Bloom and Maggie Rickard of Velvet Glass, handcrafted this series of Classic Monster Mosaics based on the horror films of the 1930s. 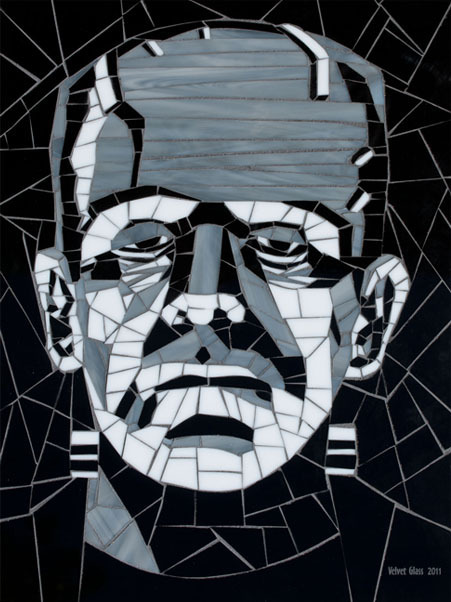 Frankenstein, The Bride of Frankenstein, The Mummy, Dracula, and The Wolfman are all beautifully represented in monochromatic black-and-white stained glass mosaics. The Super Huge, Detailed Map of the Warhammer Old World is exactly what it claims to be. 29952 by 22528 pixels in size, it covers all of the Old World area of the Warhammer Fantasy setting. The map was made by Gitzman, who has made lots of other maps of the Warhammer Fantasy world, hosts a WFRPG podcast and has a bunch of other resources to help game masters and players in that setting. He had help from Andreas Blicher, whose site has even more maps of the Old World, and Alfred Nunez jr., who has even more maps, articles and resources for people interested in the Warhammer Fantasy universe. It was as if a million pumpkin seeds cried out and were suddenly silenced. 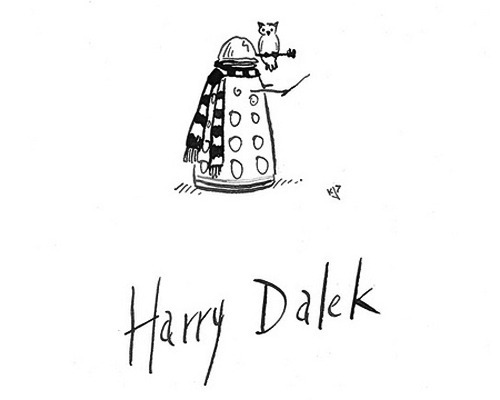 Illustrator / writer Kathleen Jennings took a collection of classic book titles and gave each one an awesome Dalek spin. Check out more on her art blog. 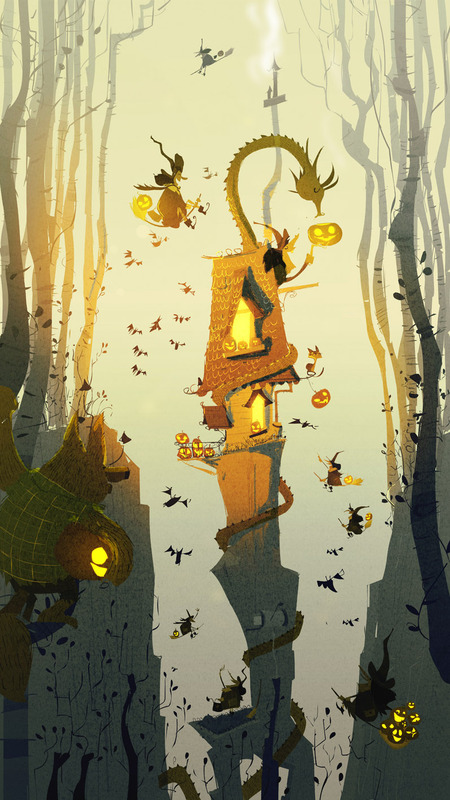 The Gawper is an animated short created by the folks at A Large Evil Corporation in the style of the early horror flicks it pays homage to, such as Frankenstein and Dracula. This group of Apple fans created a tribute to Steve Jobs featuring 4001 Post-It Notes outside of the Apple Store in Munich, Germany. after all, fear is the mind. What would you take with you if your house was on fire? It's a classic question but have you really thought through the answer? 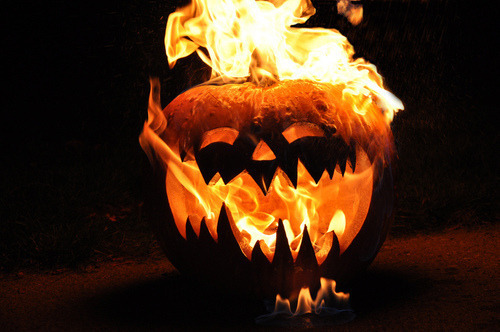 This is the exact premise of Robert Holden's intriguing project, titled The Burning House. 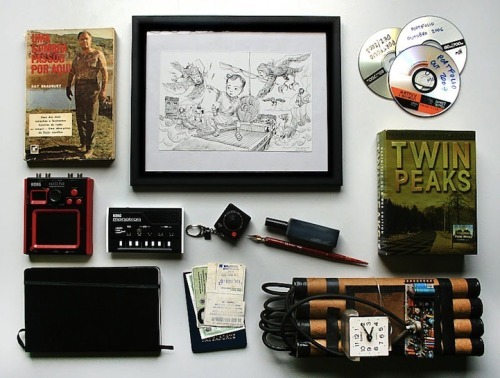 "It's a conflict between what's practical, valuable, and sentimental," he says. "What you would take reflects your interests, background and priorities. Think of it as an interview condensed into one question." 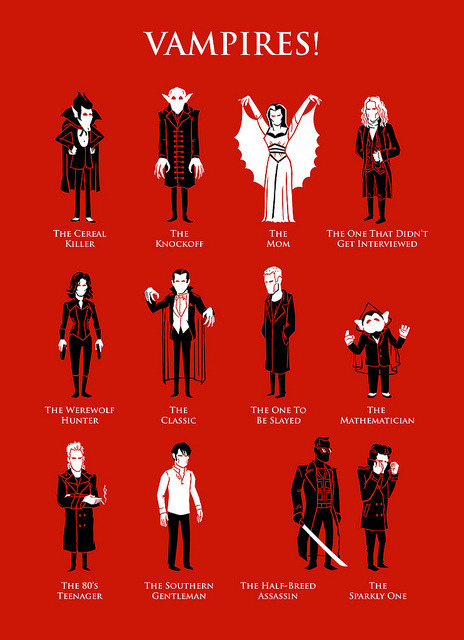 What's most fascinating about the series is the noticeable and extreme differences. While some would take weapons like guns or knives, others find that their most valuable belongings include books, cameras, or basketballs. Creative Control is a video projection of a giant eye projected on the underside of a 10 story high water tower in Brooklyn. The projection was displayed as part of Nuit Blanche: Bring To Light New York 2011, a nighttime public art festival, in Brooklyn, New York.